Kimberly Plaquin is a Recruiting Coordinator with Trinidad Drilling. She works out of our facility in Nisku, Alta., and has been hiring rig hands for eight-and-a-half years. Plaquin helped us come up with this list of five steps you should take if you’re thinking about a career on the rigs. Working on a drilling rig is a great career. You get to work outside with state-of-the-art equipment and get to be part of a tight-knit team. With Trinidad, there are awesome employee benefits, and there is a ton of opportunity for career advancement. But it’s hard work and it’s not for everyone. Plaquin explained that most companies will not interview you without your safety certificates. *eGSO is a new industry-standard certification offered through Enform (the safety association for Canada’s upstream oil and gas industry). This is one of the most common questions people have about getting a job on the rigs. Yes, you need a valid license and a vehicle (but that vehicle doesn’t need to be “jacked up.” Plaquin said that is one of the biggest misconceptions people have). Different roles on the rig require different classes of licenses, but if you are a green hand (i.e. just getting started), you only need your Class 5 (standard license). 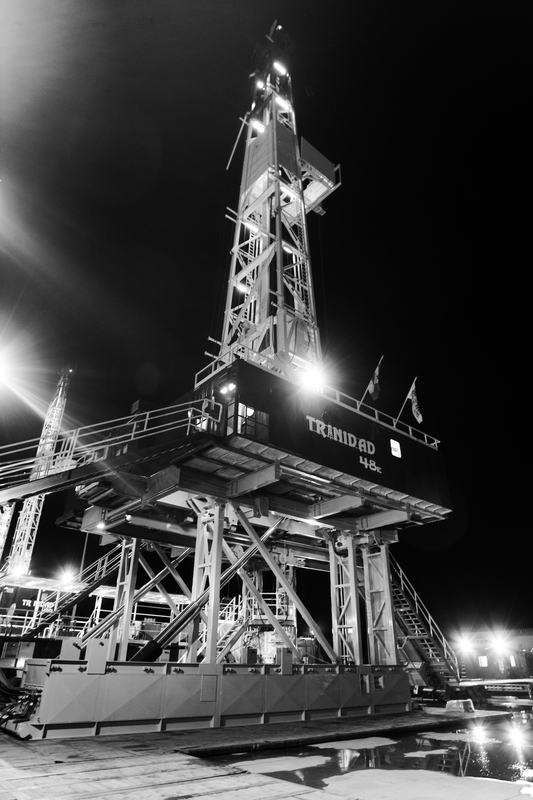 Here’s what it boils down to – getting a career on a rig is just like landing any other job. Experience helps. Plus, having a labour background will help prepare you for the physical demands of working in the field. You will need to set some money aside to pay for two things: gear and accommodations. Gear: If you get the job, you will need to buy some personal protective equipment (PPE) before you get started. Here is a list of what Trinidad requires. Accommodations: You will get a living allowance, but if you are assigned to a non-camp rig, paying for accommodations (like a hotel) is your responsibility, so you’ll need to have money set aside to cover the cost until your first paycheque rolls in. Note: If you are staying in camp, there are no upfront costs. It’s normal to have lots of questions when you’re starting a new career. For more info, check out our FAQs section or visit the RigTech.ca website, which is operated by the Canadian Association of Oilwell Drilling Contractors (CAODC). RigTech.ca is a fantastic resource for anyone just getting started in the industry. Visit our careers section to view current job postings or to submit your resume for future consideration. If you’re a newbie looking for your first rig job, Plaquin also encourages applicants to just show up at our Nisku Operations Centre for an interview (proof of certifications in hand, of course). You can also get your safety certifications at http://www.misafety.ca we offer the first aid and h2s alive training courses every week just outside of nisku. Visit our website or call us at 780 987 3465 to register. We are looking into this for you. Thanks! We’ve taken your information and will send you an email with more information. Thank you for your patience!